Availability: (996 item in stock items in stock) Warning: Last items in stock! 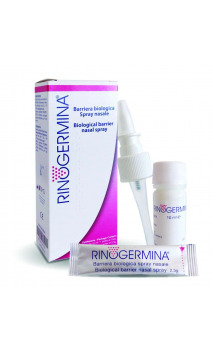 It is the isotonic solution based medicinal product with carboxymethyl beta-glucane 0.25 % acting mechanically: cleaning, moisturizing, lubricating and restoring physiological pH of the nasal secretion. 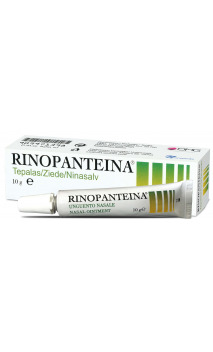 For reduction or prevention of possible complications after nasal surgery; for mucous membrane changes caused by environmental stressors (smog, cigarette fumes, etc. ), foreign bodies (dust, pollen, etc.) 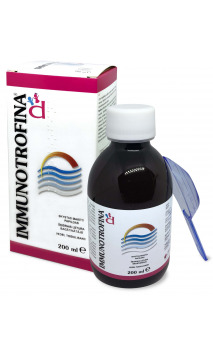 or temporary pathologies such as sinusitis, adenoiditis, polyposis and rhinitis of microbial or non-microbial origin. The product is prescribed together with antibiotics for moderate otitis, to maintain clean nasal cavities and improve sinus ventilation. 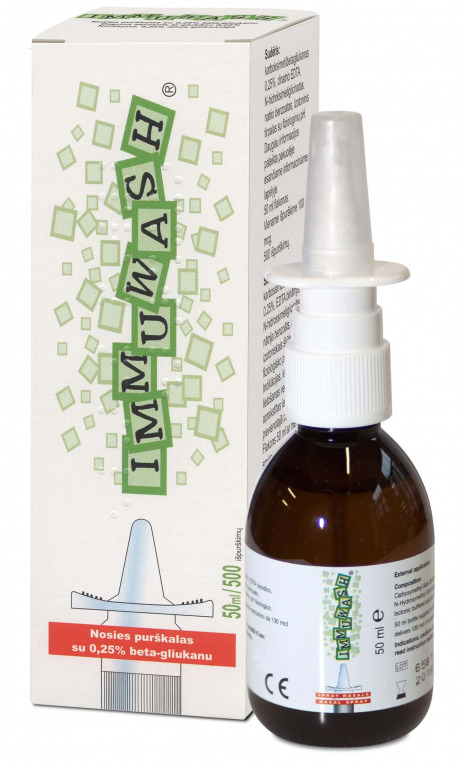 IMMUWASH nasal spray regenerates, humidifies and lubricates nasal mucus after nasal surgery and aids the nasal epithelium formation process. Use: remove the protective cap. Put your thumb on the container bottom, index and middle fingers on the spraying wings and push the wings down. Release. Repeat until the first drops appear in the air. Bend your head slightly forward, exhale, slowly spray the product into the required nostril and inhale having the other nostril covered tight with your finger. Repeat several times, if required. Spray again, if required. Adverse effects: adverse effects are not known. Do not use the product in the case of known sensitivity to any of its ingredients. Precautions: avoid contact with eyes, do not inject, do not swallow, keep away from children and sources of heat. The product can be used 90 days from the first opening. Package: 50 ml sealed bottle. Total content: 500 spray doses. The product does not contain reactive gasses. Ingredients: carboxymethyl beta-glucane 0.25 %, disodium EDTA, N-hydroxymethyl glycinate, sodium benzoate, isotonic solution with pH 7.0.